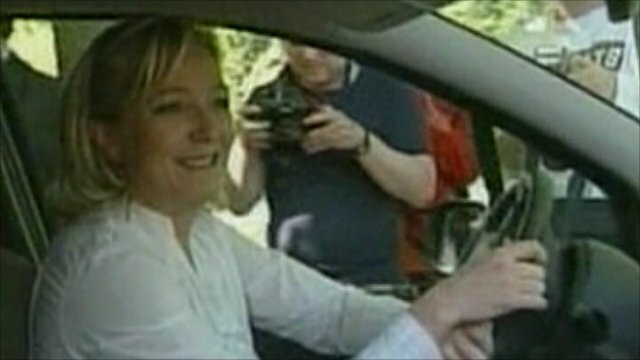 High hopes for Marine Le Pen Jump to media player The far-right National Front in France has announced that Marine Le Pen, daughter of the party's founder, Jean-Marie Le Pen, has been elected to replace him as leader. Front National prepares for election Jump to media player The far right party of France, the Front National, is preparing to elect its new President. The far-right National Front in France has announced that Marine Le Pen, daughter of the party's founder, Jean-Marie Le Pen, has been elected to replace him as leader. 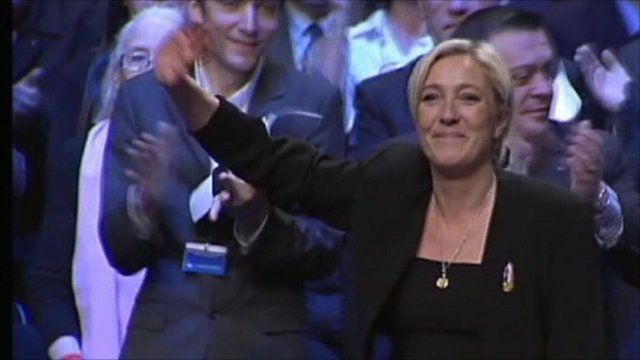 Mr Le Pen made a farewell speech to the party on Saturday, almost forty years after he first established it. The BBC's Christian Fraser has been at the National Front party conference in Tours.